As one of CARE’s founding volunteers, Sandy Schneider has made a difference in the lives of many cats and people. And even a few goats. 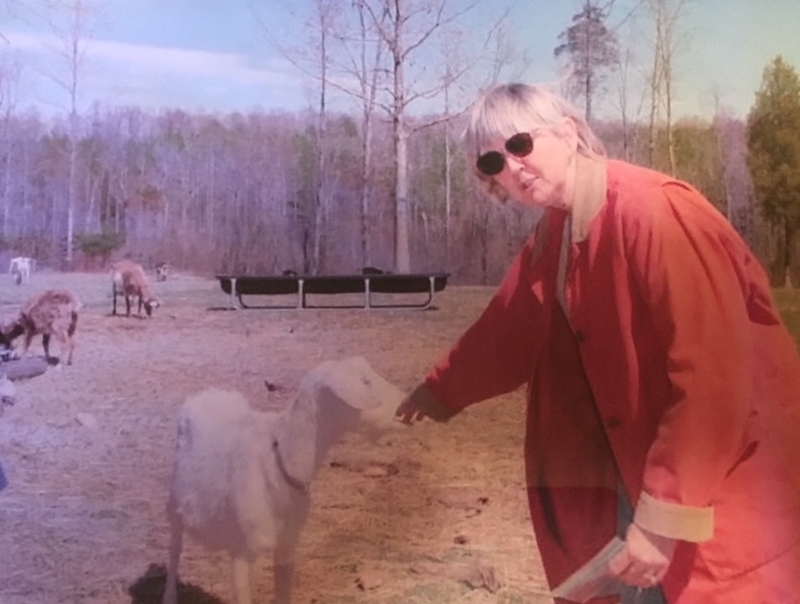 About ten years ago, CARE received a call from a goat farm in Amelia County. The farm needed a cat to control the mice, which were eating the goat feed. Sandy had just the right cat for the job. Earlier, Sandy had trapped some feral cats that were living near the dumpster of an apartment complex. The apartment managers had requested that the cats be removed and CARE stepped in. Rescued feral cats can be tamed, but it is not always easy. While many feral cats warm up to humans and go on to enjoy domestic life, others remain fearful of people. Placing one of these cats on a farm where it could roam and hunt was good for the cat as well as for the goats. Here, Sandy is pictured with the goats who benefitted from having a barn cat to protect their food.